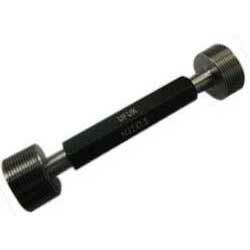 We hold an expertise in offering our clients with a wide range of Screw Plug Gauges. These are Manufactured with good grade raw materials to ensure the durability and efficiency of the products. We are offering screw plug having capacity from 0.9mm (0.031") up to 457mm (18"). These are offered by us at affordable rates and other than already manufactured designs of Screw Plug Gauges these can also be customised.